The Lancaster Warrant Roundup is in progress and you need a traffic ticket lawyer. Look no further! Since 1994, the attorneys of Jack Byno & Associates and have represented clients in Dallas County with speeding tickets, traffic warrants, CDL violations, and driver's license suspension hearings. If you need to get your name removed from the Lancaster Warrant Roundup arrest target list, contact the lawyers of Jack Byno & Associates. More about Lancaster traffic tickets. Do You Need A Lawyer For A Lancaster Speeding Ticket? Lancaster, Texas speeding tickets are normally not difficult for a lawyer to keep off of your driving record unless you have a CDL or were driving too fast. I am Jack Byno, a Lancaster speeding ticket defense attorney. If you have a speeding ticket and you have allowed it to go past the due date, a warrant has probably been issued for your arrest. The lawyers of my firm can post bond, lift the warrant, and appear in court to plead our your case. Contact me to lift your warrant before you are arrested in the Lancaster Warrant Roundup. The Lancaster Police Department along with hundreds of other police departments across the State of Texas make an annual effort to arrest as many people as possible, with outstanding traffic tickets, during the Great Texas Warrant Roundup. You do not need to get caught up in the process. Our lawyers can post bond and lift your traffic warrants. The Court will then give us a court date, at which, we will appear and plead your case to the best deal we can make on your behalf. 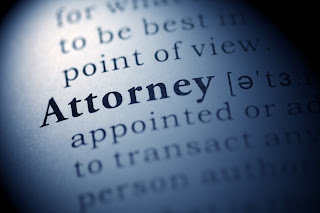 Contact the attorneys of our firm for legal representation. The Lancaster Warrant Roundup is happening right now. Don't be a Lancaster Municipal Court arrest statistic. If you have a speeding ticket or you need a traffic warrant lifted contact me . Our experienced lawyers can also assist you with CDL violations and driver's license suspension hearings . Fines and court costs are never included in fees for legal representation.